This shop has been compensated by Collective Bias, Inc. and TUMS Sugar-Free. All opinions are mine alone. 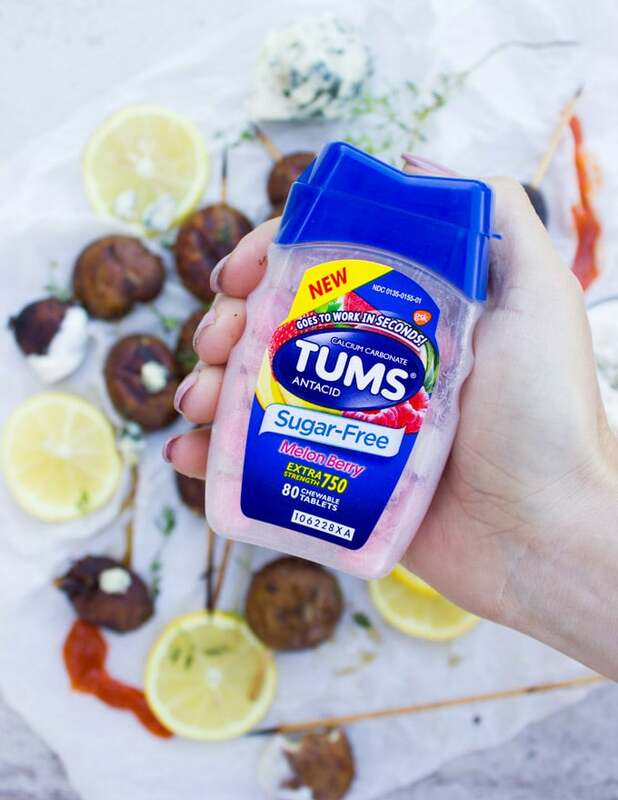 #TUMSSugarFree #PassTheTUMS #CollectiveBias. 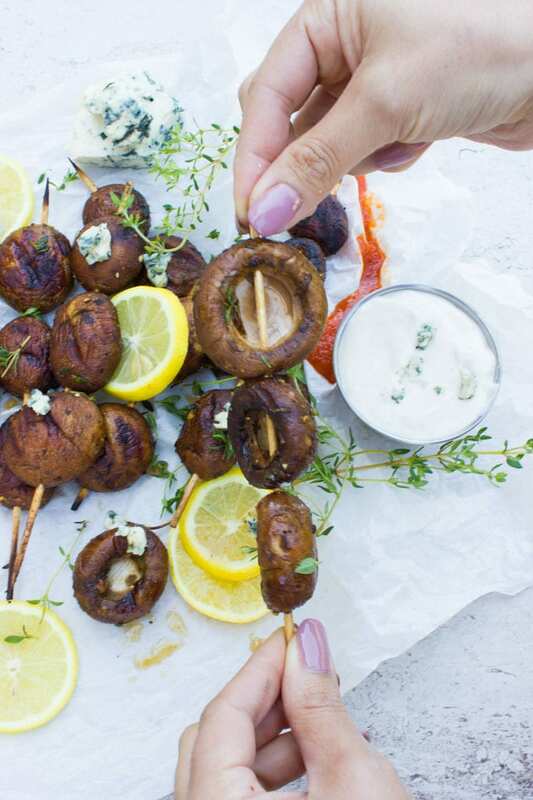 These delicious Buffalo Grilled Mushrooms with Blue Cheese Sauce are the best grilled mushrooms you’ll ever make! Tossed in a luscious spicy, zesty and buttery sauce, these mushrooms are packed with flavor! 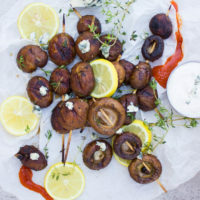 If I had to pick, I would almost always chose mini bella mushrooms to make these grilled mushrooms. They’ve got so much more flavor than regular white button mushrooms, and a nice meatier taste/texture. There’s nothing that pairs better with a Buffalo style grilled mushroom other than a cooling blue cheese dip. I love adding a touch of garlic to it, some lemon juice and another splash of hot sauce and of course plenty of blue cheese crumbles. 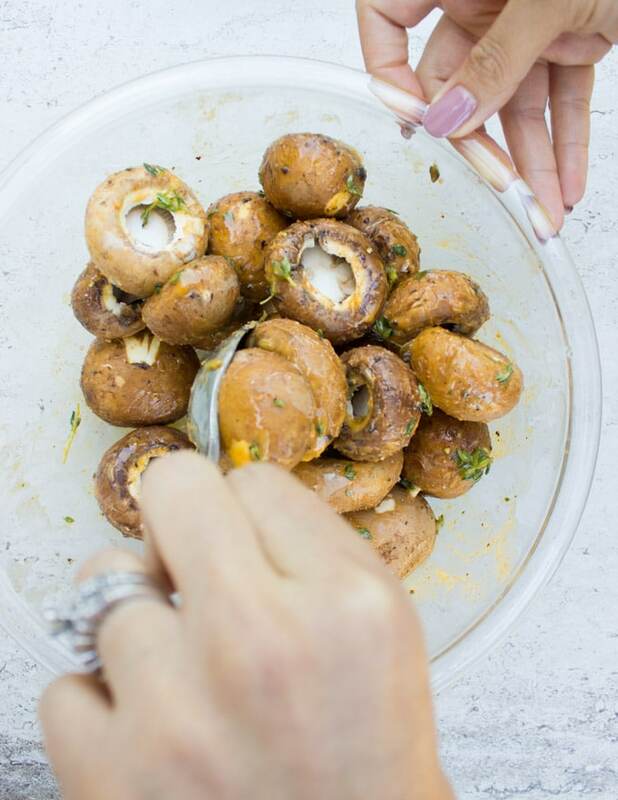 This easy peasy luscious dip recipe is a perfect pair to the grilled mushrooms, so by all means don’t skip it! 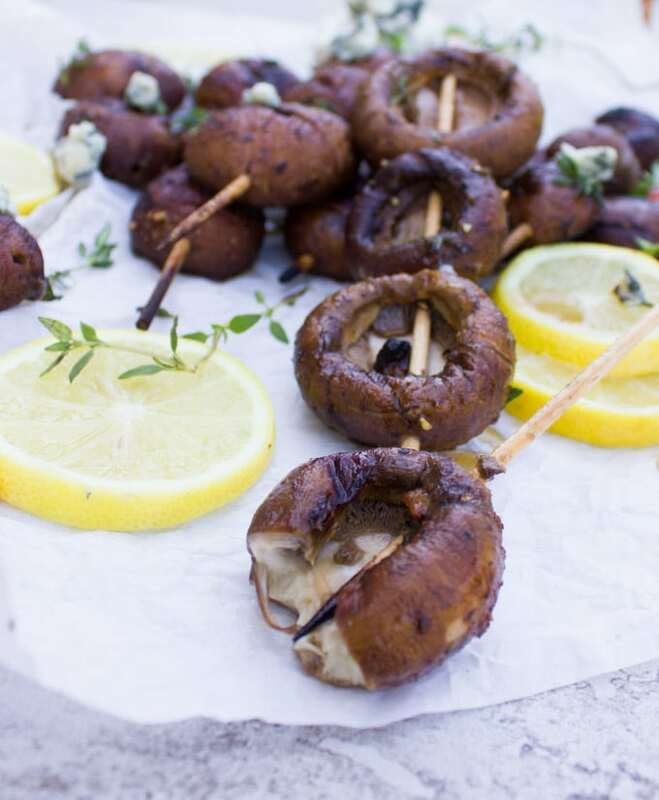 These grilled mushrooms are certainly delicious served as a side dish, which is what they are! However I can tell you for sure on so many occasions, these babies have stolen the spotlight from the main dish! 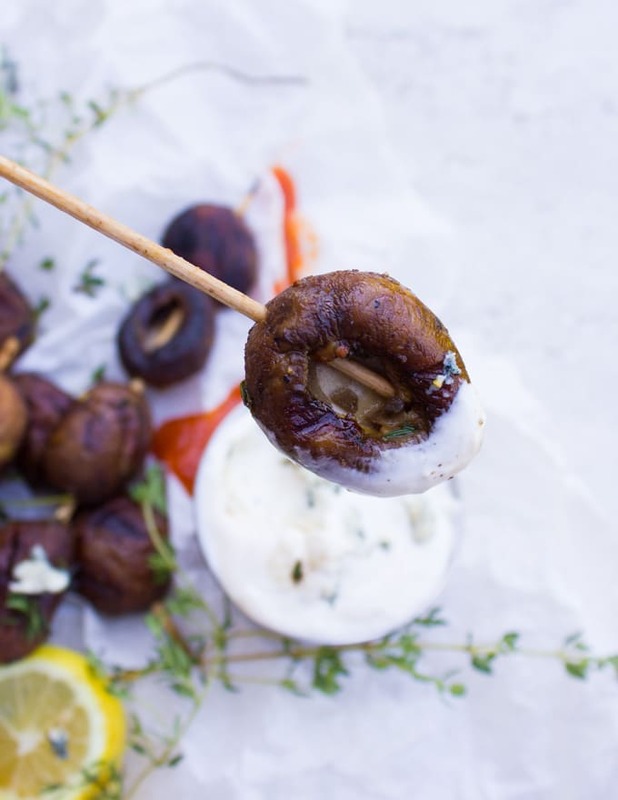 There’s something about the taste and texture of these grilled mushrooms that makes it such a hit. While this seems like an obvious tip, I’ll mention it nonetheless. 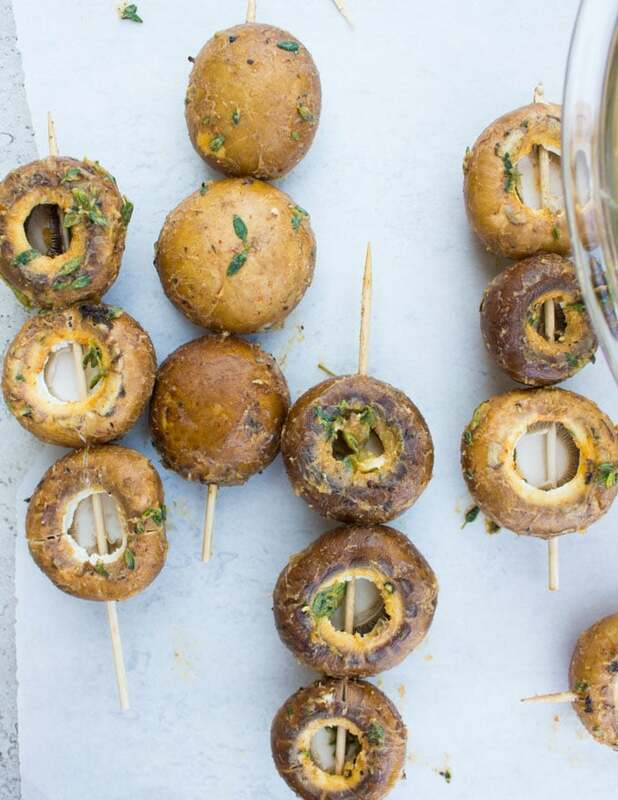 Don’t skewer too many mushrooms caps on the same skewer because they’ll fall off during grilling and flipping. Also, adjust the spice level to your taste, so add more or less hot sauce. You can also add any herb you prefer, like for example rosemary would be lovely! And finally, if you’re like me (my hubby and many other friends), you’ll need a fast relief for the heartburn after such a deliciously addictive side dish. 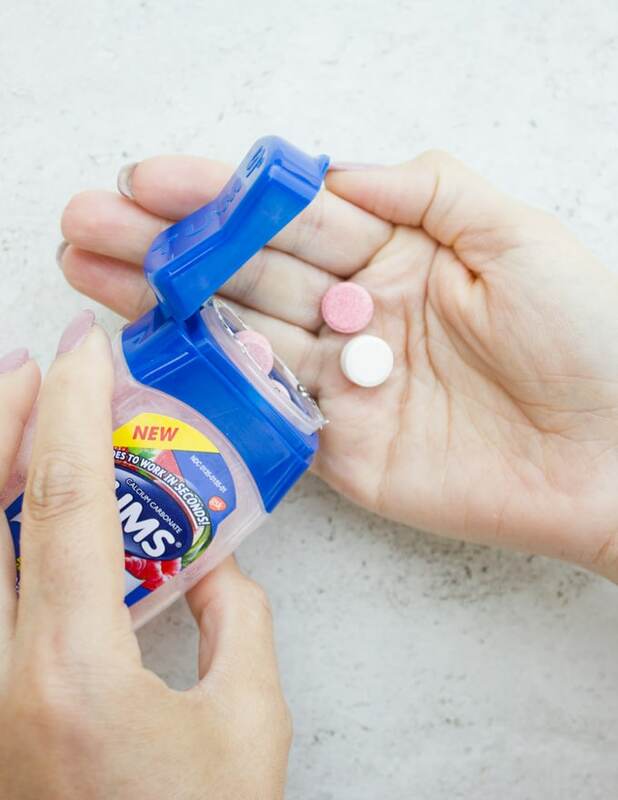 So I’ll always pick up TUMS*. I keep it almost everywhere, in my car, my purse and of course in my kitchen. For a foodie like me, I can’t afford to miss out on my favorite foods yet I can’t stand the heart burn! 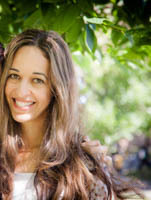 Lots of yummy foods will trigger heartburn, not just my favorite grilled mushrooms. Things like spicy, citrusy, chocolate-y, heavy on the fat meals, and many more. So rather than complaining, I’m actually SO relieved that I have my TUMS! It’s absolutely effective and goes to work in seconds. So it’s that fast relief you need when you’re uncomfortable after a spicy delicious meal. It’s also the #1 Pharmacist recommended brand and even better it’s now sugar free!! YES. Like all this time, I love TUMS and use it for relief but at the back of my mind, I wished it didn’t have sugar. 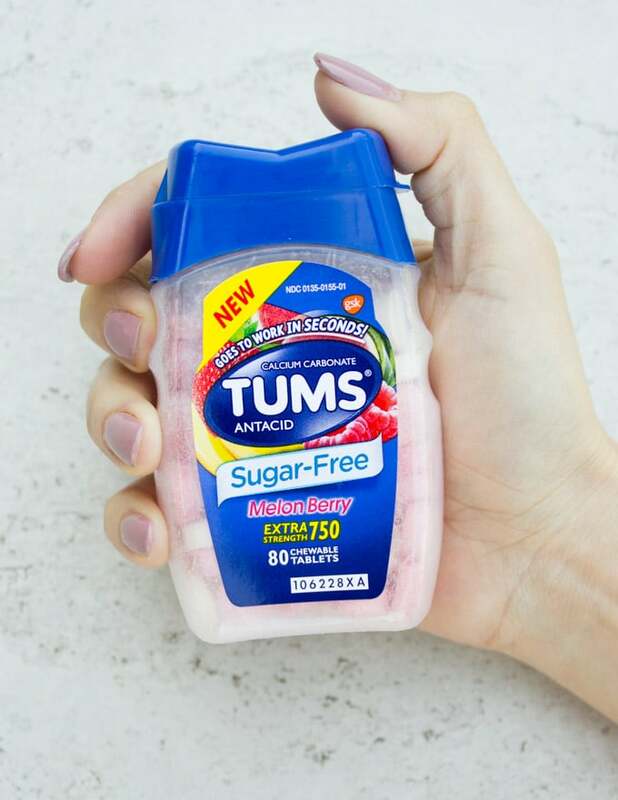 Now this new sugar free TUMS which I picked up at my local Target store, is like an answer to my heart burn prayers! 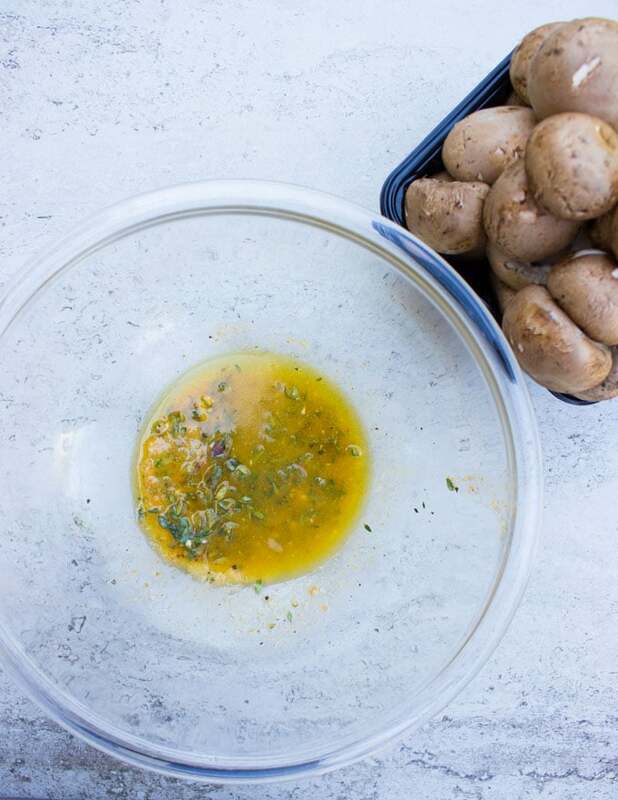 For the mushrooms: In a large bowl, add all the ingredients (except mushrooms) and mix them well. 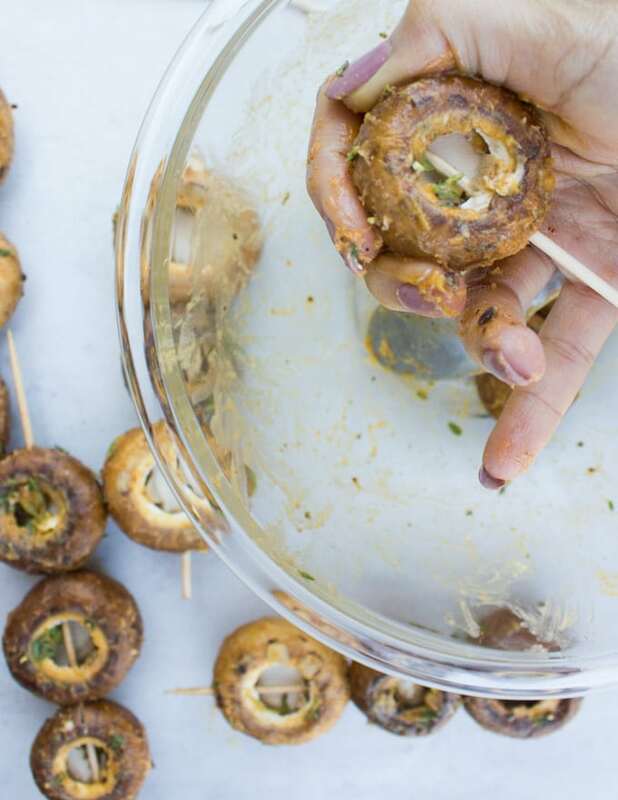 Then toss in the mushrooms and skewer them (about three in each skewer) in wooden skewers. 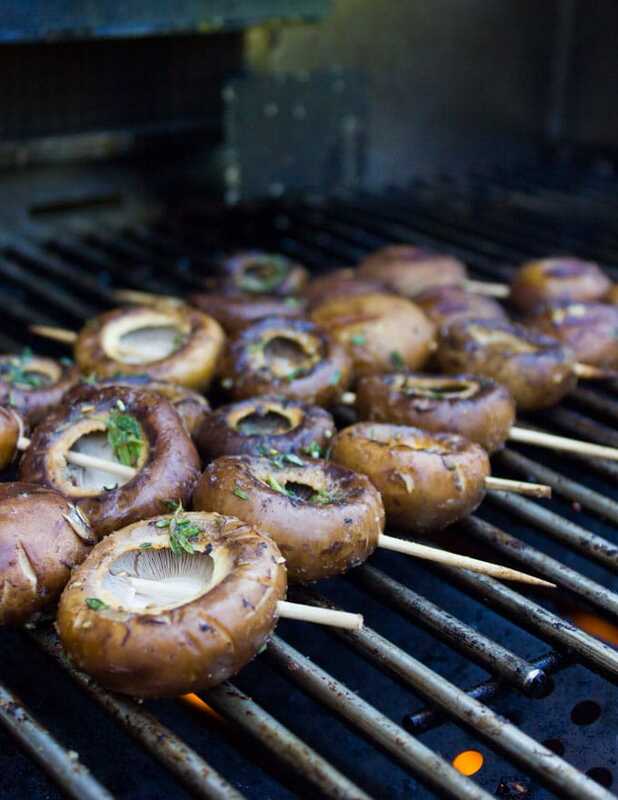 Grill the mushrooms over medium flame for about 3 minutes per side until tender. For the blue cheese dip: mix all ingredients in a small bowl and blend well. Make sure the blue cheese is smashed into the dip and well blended. 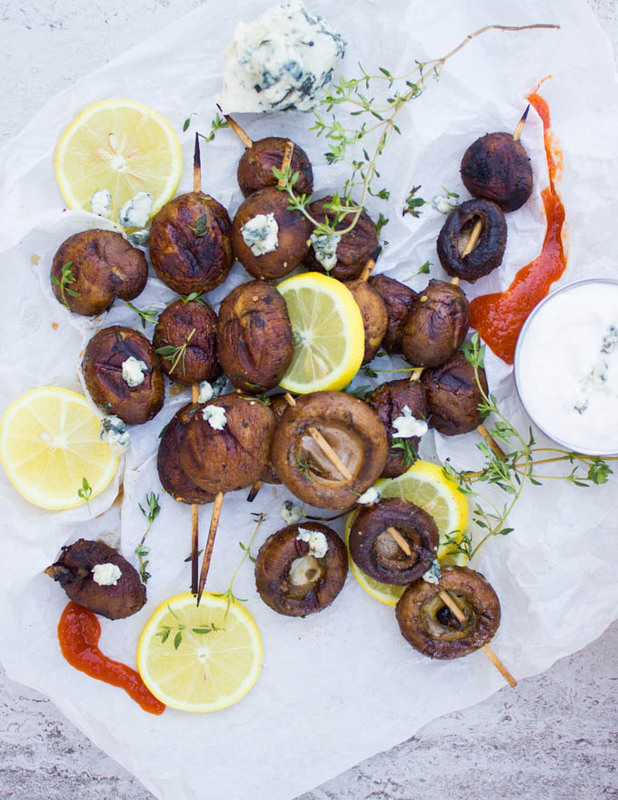 Serve the grilled mushrooms with the blue cheese dip and extra hot sauce!